We are pleased to announce the following new product. 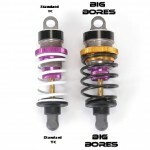 Under testing for many months the team have found these larger diameter shocks an extremely good tuning option for the Mi4 and will also fit other Touring Cars. Especially good on bumpy, lower traction tracks but equally at home on higher grip surfaces. 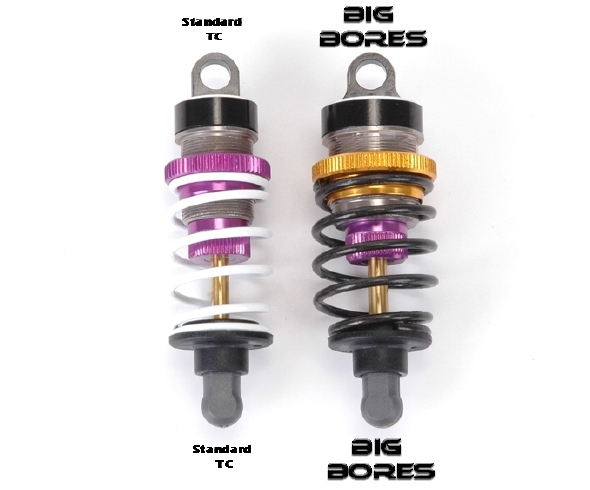 13mm diameter (compared to 10mm standard shocks) means 69% more oil volume. Titanium nitride coated low friction shock shafts. 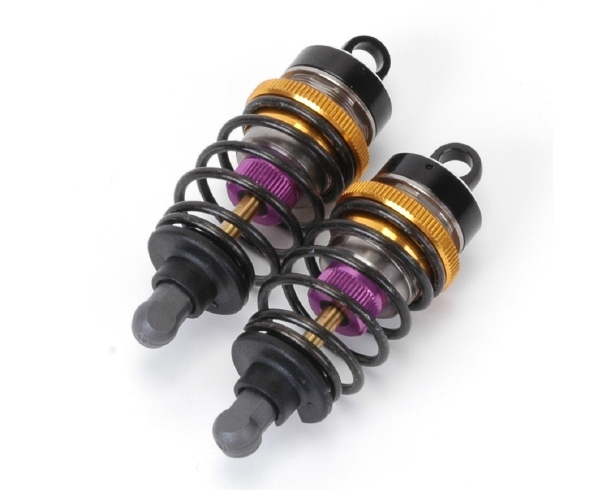 PTFE coated low friction threaded shock bodies. Optional range of 5 CNC machined pistons. Optional range of 5 precision ground black springs with lbs lazer engraving. Assembled units sold as a pair, including popular 16lb springs.